Being a dog owner brings with it lots of joyful moments, but at the same time, many responsibilities. Are you ready to get your own dog? Check it out! Crazy about dogs and ready to become a first time dog owner? Keep in mind that getting a dog is not only an enhancement to your life, but also a big commitment. Find out more about how to prepare for getting your first furry friend in this blog post – we’ll cover basic dog care and how to be a responsible first time dog owner. Before you share your home with a dog, think twice. Do you have the time, money and dedication required to take care of a dog? There are three options for first time dog owners: get a puppy, an adult dog or adopt one from an animal shelter. Adopting is a great way to give an abandoned animal a second chance at a happy life. Always make sure to deal with a trustworthy breeder or clean shelter and be sure that your future pet is friendly and healthy. Not sure which breed is the best for you? Finding the right breed for you might be a challenge, but go for it. A dog should be one of your best companions for the many years to come, so before getting one, invest some time to do proper research. This also shows that you are ready to be a responsible first time dog owner. Try to find a dog that fits your lifestyle. If you’re an active person who loves to exercise outside with your dog, consider a high-energy dog breed, such as the Australian Shepherd, the Boxer, the Border Collie or different Terrier types. Which specific breed will fit your family best cannot be fully determined in advance. But you can surely estimate based on the average size, level of energy, common personality traits and hygienic needs, which breed might be most suitable for your first dog ownership. 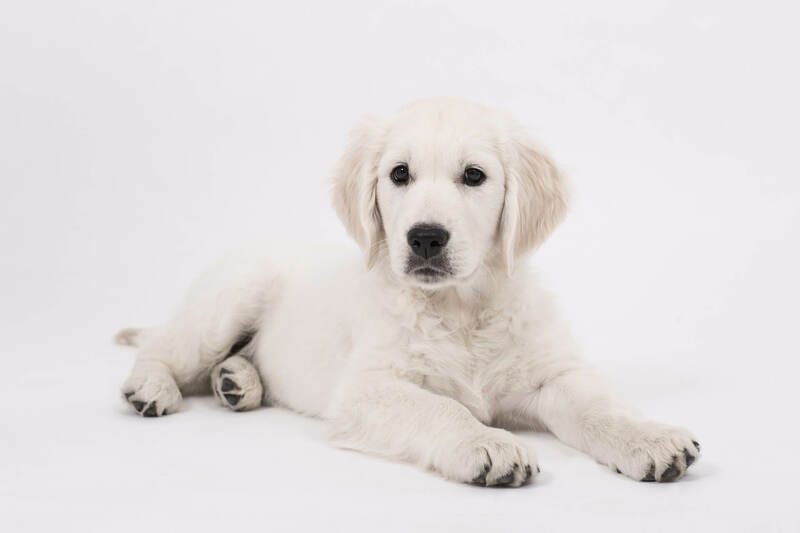 If you have small children, it’s advised to choose a child-friendly breed with low maintenance and a gentle character like the Golden Retriever. Other breeds, such as the Boxer or the Labrador Retriever, also form close bonds to their families, which makes them well-suited for first time dog owners. Nevertheless, you might also want to consider getting a mixed-breed dog, which will be one of a kind by having diverse breed origins. Most importantly, it’s also a good idea to spend time with the dog before making your decision. Food & Supplies: Being a responsible first-time dog owner starts by providing your dog with proper nutrition. Use the highest quality dog food you can budget for to ensure a balanced diet which directly boosts your dog’s well-being. Place the food bowl next to the water bowl. A happy dog is a well-hydrated dog. Prepare the following supplies before you take your dog home for the first time: Leash, dog bed, collar, grooming equipment. In addition, you might also consider buying chew toys for a puppy. Activity: Physical exercise is crucial, especially for high-energy dog breeds. You should arrange enough time for your dog to run and play in nature as often as possible. Are you afraid your dog might run away once it’s off its leash? Better make sure to provide your dog with proper identification. A Tractive GPS Tracker will help you find the position of your pooch in real-time and ensure that you’ll never lose your dog again. Love, Attention & Patience: Dogs are social animals and therefore want and need to be included in social interactions. Don’t forget to give your new dog or puppy time to adjust when settling into your house. Be strict, but patient and show them a lot of love as well as attention from the beginning on. Boundaries & Training: Getting a dog for the first-time is an overwhelming change for some people. You should be prepared to put time and effort into teaching your dog boundaries and rules. Try to establish a healthy relationship with your dog where you are the leader. Training will help your dog socialize better. Health: Finding a local veterinarian ensures you have an expert to fall back on in case of an emergency, for vaccinations and any other issues that arise as a first-time dog owner. Informing yourself about health issues of dogs is advisable. Builds up a respectful and positive relationship between you and your dog. Creates constructive guidance instead of one-sided obedience. Being a dog owner enhances your life in so many different ways. Once you own a pooch, you will never imagine life without a puppy ever again. So what are you waiting for?